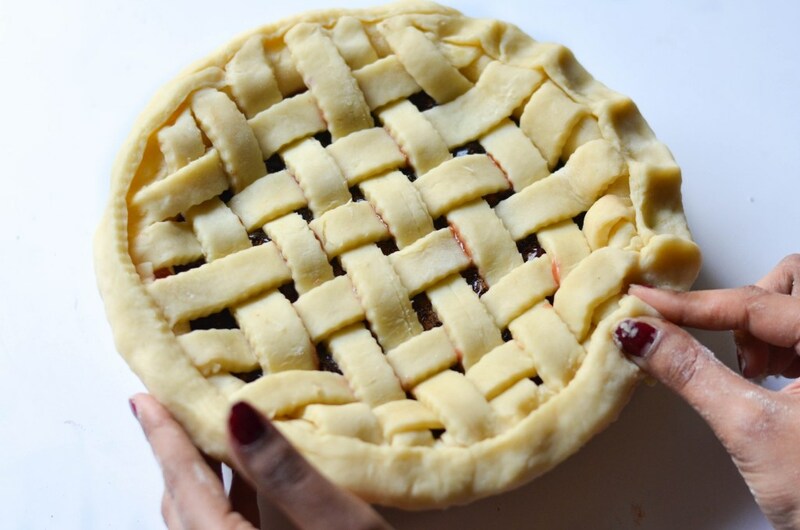 Here is the easiest way to make a traditional and buttery lattice pie to welcome this winter festive season. 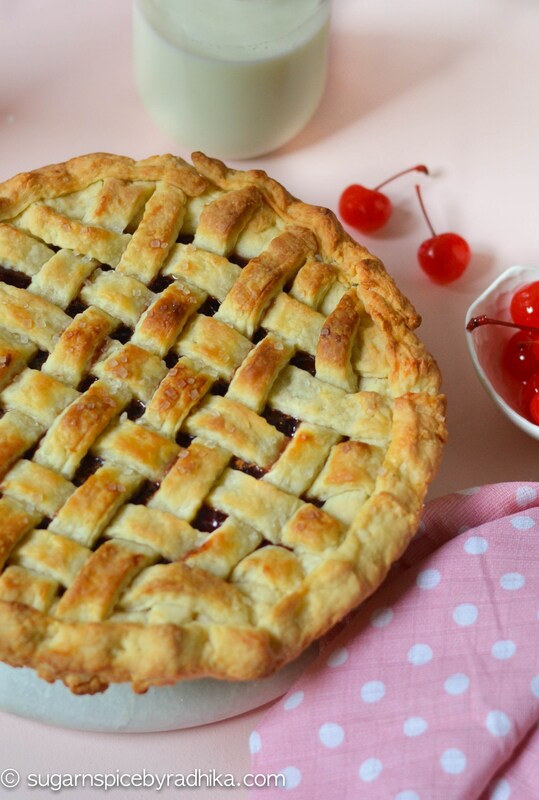 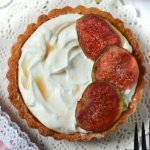 When we think of pies, a pretty picture comes to mind and that is of a traditional lattice pie – the crisscross strips of dough beautifully covering the scrumptious treat. 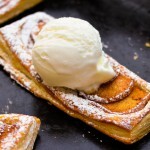 You may think it’s complicated but all you’re doing is carefully weaving the pattern with dough. 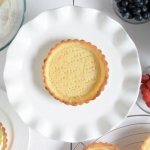 You just need to keep some vital points in mind and follow the steps carefully and you’ll have your own good old-fashioned lattice pie crust ready in no time! 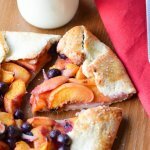 While it is always important to chill your ingredients when making a pie, working with refrigerated dough especially when you’re making a lattice pie, is of utmost importance. 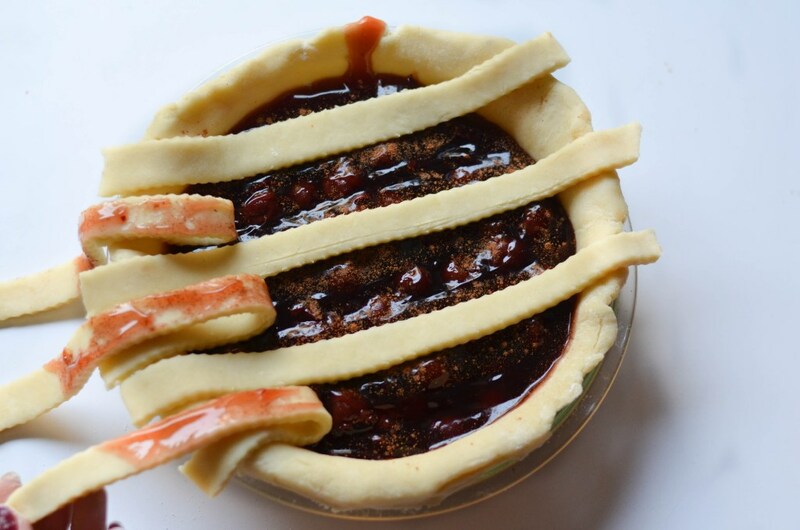 Learning to work with strips of dough may seem intimidating at first, but once you master the skill, you can hop on to making fancier patterns on your pie. 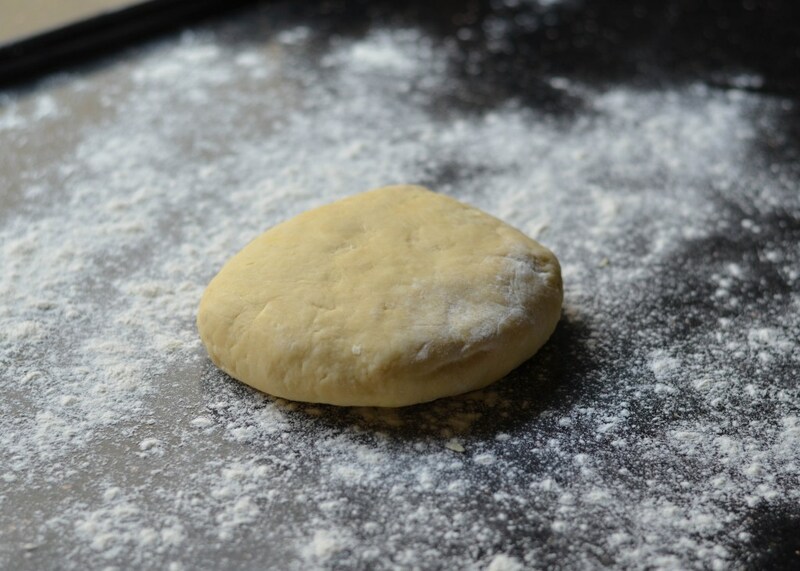 The first step in this direction is kneading the right kind of dough. 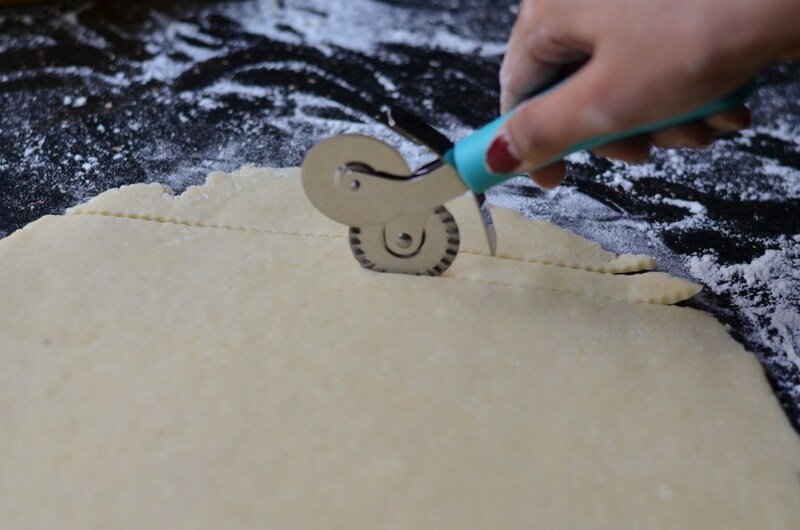 You need to ensure that your dough does not crack when bent or stretched and is rolled evenly before being cut into stripes (the best way to do this is by rotating your dough and not moving your pin). 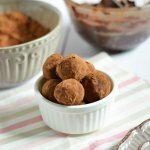 Remember these simple tricks, follow the process mentioned below, and you will be delighted with the results! 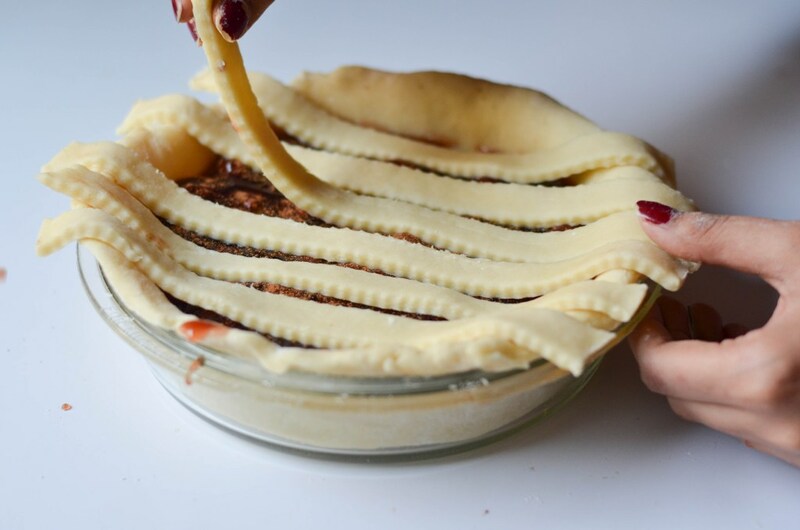 Step 1: Knead the pie dough well and refrigerate it before use. 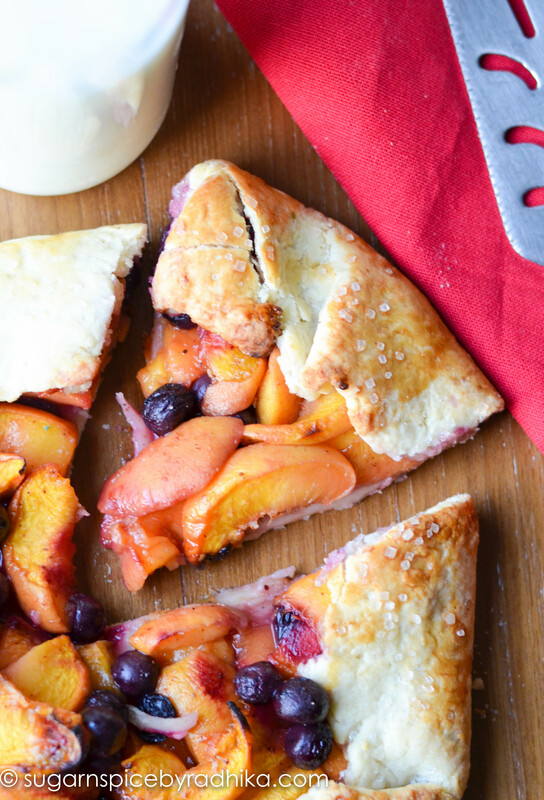 Follow these steps to make sure your dough is perfect for making a lattice pie. 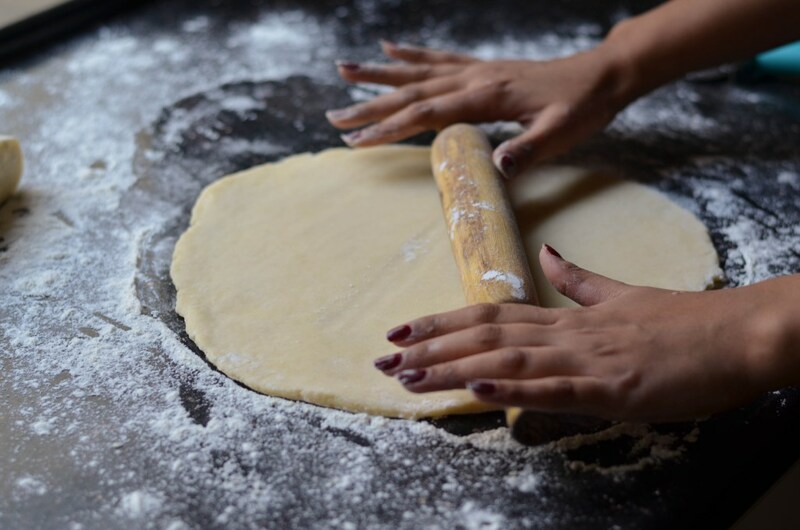 Step 2: Start rolling out the dough by first covering the surface with some flour (too much will toughen the dough) and make sure it’s rolled out evenly. 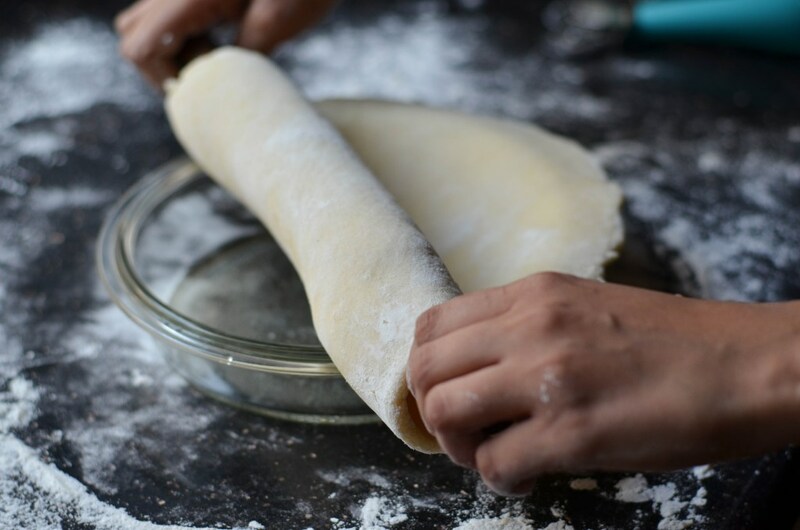 Step 3: Wrap it lightly around the rolling pin and without stretching it out place it on your baking dish. 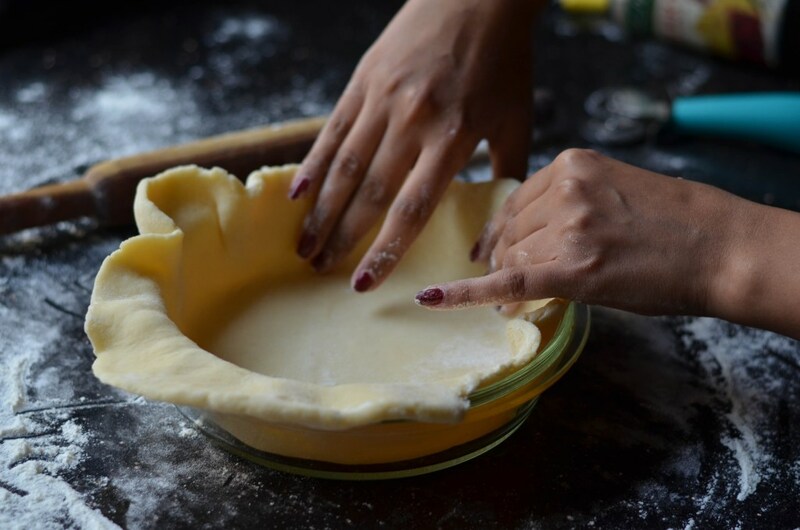 Step 4: Roll out the other piece of dough and with the help of a pie or a pizza cutter, cut even slices about half or three-quarters of an inch wide. 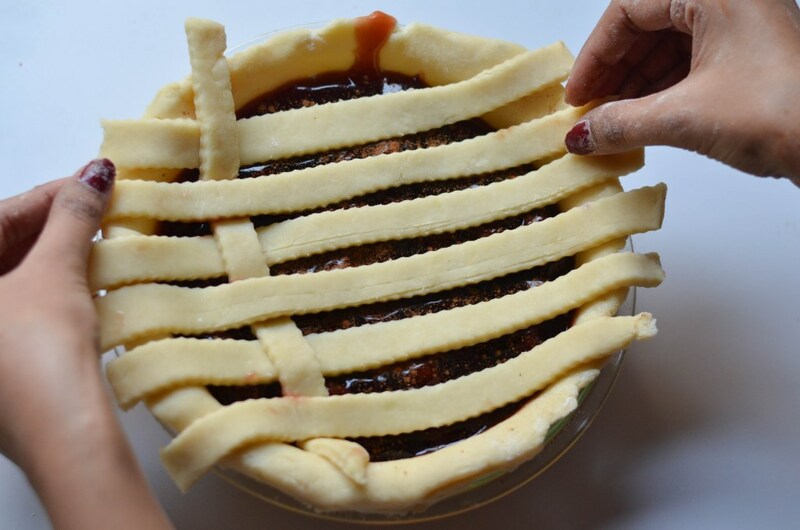 Step 5: First place the cut-out strips vertically at equal distances over the pie filling and across the plate. 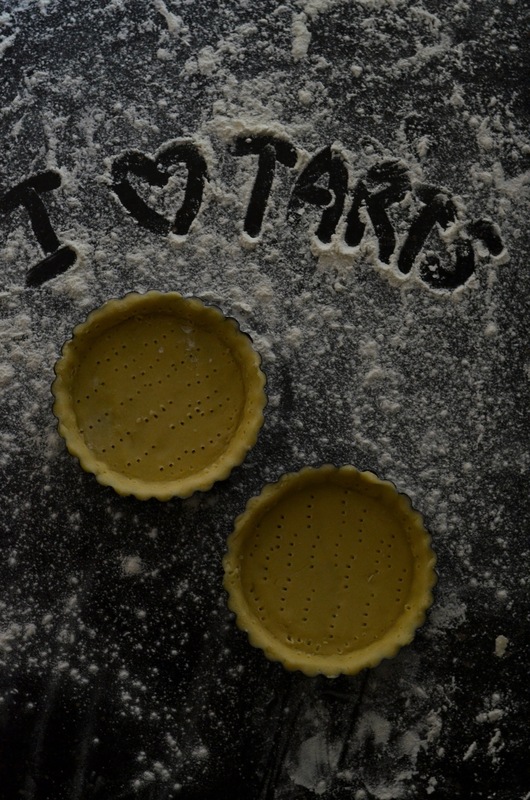 Step 6: Lift up alternative vertical strips and place rest of the strips horizontally. 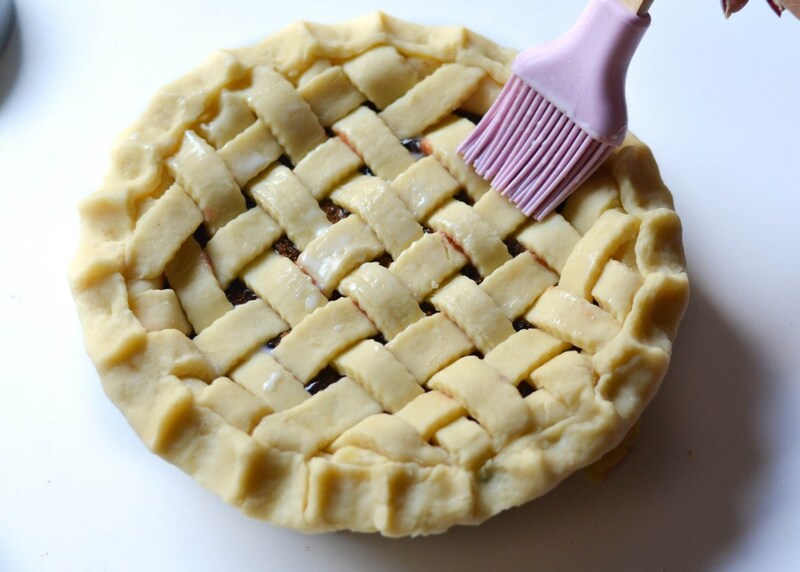 Then put them back in their original place, creating a weaving pattern as shown below. 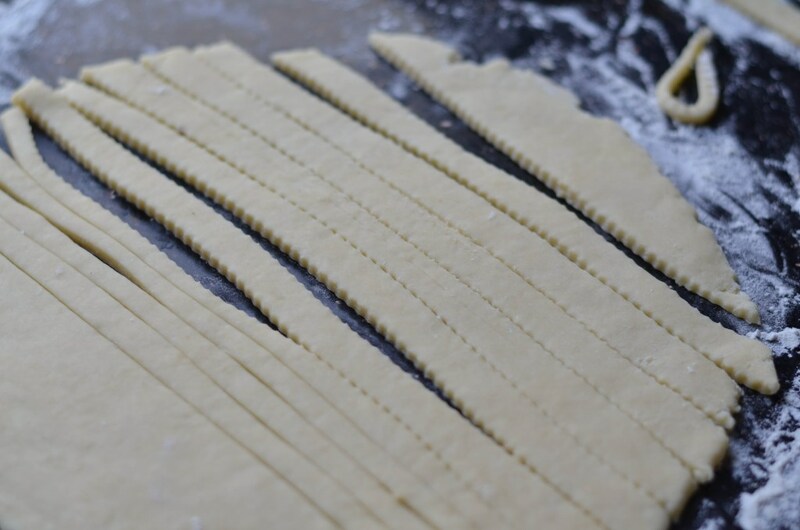 Step 7: Trim the edges and cover the rim of the baking dish with a long strip of dough. 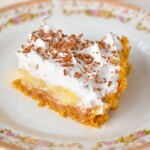 Now just brush the top crust with milk and your pie is ready to be popped into the oven!